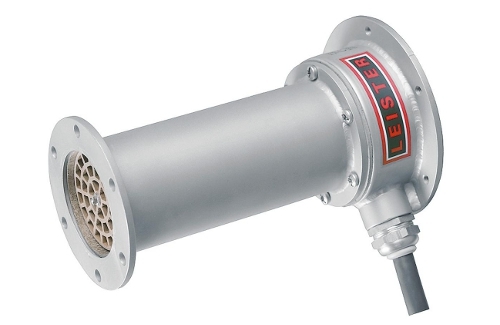 Leister Air Heaters - Manufacturing - STANMECH Technologies Inc.
A quick overview of the CLASSIC, PREMIUM, and SYSTEM versions of the LHS 1 series of tools and their different capabilities. The LHS 15 air heater is backwards compatible with its predecessor, the LE TOOL 700. Offering 550 – 800 W of heating power this tool can heat air to temperatures of up to 650°C. The LHS 21 air heater is backwards compatible with its predecessors the LE TOOL 3000 and LHS 20. Offering 1.0-3.3 kW of heating power this tool can provide hot air at temperatures of up to 650°C. The LHS 41 air heater is backwards compatible with its predecessors the LE TOOL 3300 and LHS 40. Offering 2.0-4.4 kW of heating power this tool can provide hot air at temperatures of up to 650°C. The LHS 61 air heater is backwards compatible with its predecessors the LE TOOL 5000, the LE TOOL 10000 and the LHS 60. Offering 4.0-16.0 kW of heating power this tool can provide hot air at temperatures of up to 650°C. This high-temperature version of the LE TOOL line is suitable for building into machinery, in heat tunnels and other applications where extreme heating power is required. This hot air tool is only supplied without electronics. These Double-Flange (DF) air heaters are suitable for integration into machinery. With the DF Recirculating model (DF-R), air inlet temperatures can be as high as 350°C; preheated air can be recycled, thereby reducing power consumption without sacrificing performance. The LHS 91 is backwards compatible with its predecessor, the LE TOOL 40,000. With up to 32kW of power, the LHS 91 is suited for the most demanding of heating applications requiring continuous operation with high airflow and high temperatures. The worlds smallest air heater with integrated temperature probe. The LE MINI is especially well suited for hot air riveting or in applications in which heat has to be applied with pinpoint accuracy.